There’s no doubt that photo booths at weddings are great fun, but they can get really expensive if you’re not careful. The solution? A DIY Wedding Photobooth! I’m a huge fan of DIY anything, and also really lazy, so rest assured that these DIY backdrops or “Selfie Stations”, are going to be fun AND easy to make! This beautiful ribbon lace backdrop doesn’t take any time to make, and the end result is just, so pretty. All you need are ribbons, lace, and a sturdy cord to hold it together. The tutorial asks you to glue the ribbons and lace in place, but you can also knot it around the cord, and rest assured that it’ll look just as pretty. This is the most customizable photo booth backdrop ever, because there are really no rules to the colours – make it match your invite, your clothes, your theme…the possibilities are endless! An added bonus is that you can save this backdrop for another event if you wish to. A flower backdrop works the same way the ribbon backdrop does. 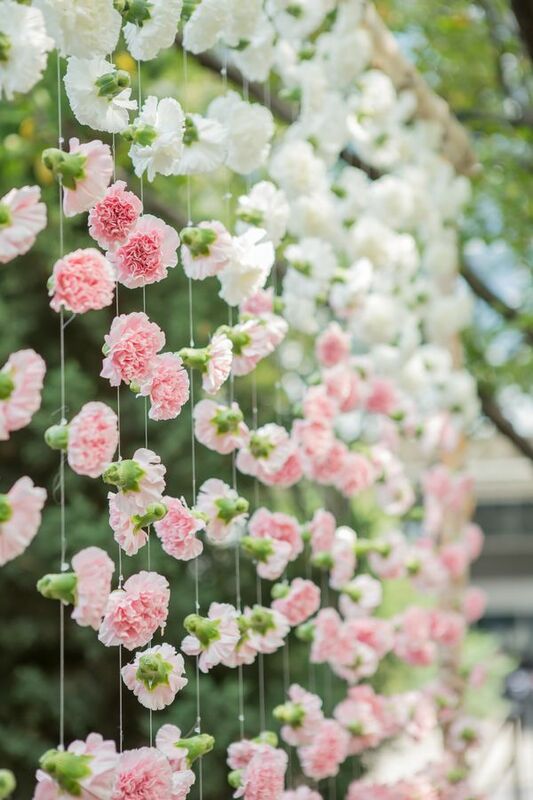 Tie up flowers of your choice – they can be as close together as you wish (great for when you don’t want the background to peek through), or farther apart (when the background is just as pretty!). We are biased to marigold, but jasmine and roses work just as well. 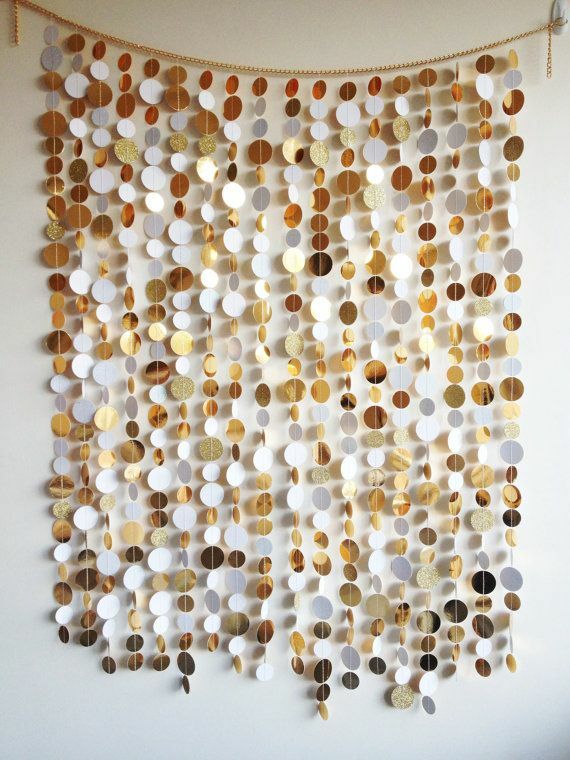 Add some Great Gastby like flair to your wedding with gold cardboard circles! This backdrop screams fun and once again, is completely customizable to your choice. Why not all pink? Or mint and gold? Or pink and gold? Or navy and mint? I feel like I need to have another wedding just to make one of these. The process is again, simple – cut out circles from sturdy, coloured paper and glue the string in between two circles. That will make one circle on the garland. Repeat for the length of your backdrop, and voila! Make a backdrop out of hanging balloons at different heights! At this point, I’d advise oxygen filled balloons as opposed to helium balloons if you’re having kids at the venue – because inhaling helium will cause light headedness and the last thing you want at your party is a freaking ambulance. Seriously. So which DIY are you planning to do? Tell us! Modern day wedding venues are loaded with fun and excitement. Photo booth are definitely a great way to carry home rich memories.